Many major mail servers account for Spamhaus’ credibility on their spam listings. Therefore, delist your mail server before moving forward so to facilitate mail deliveries afterwards. 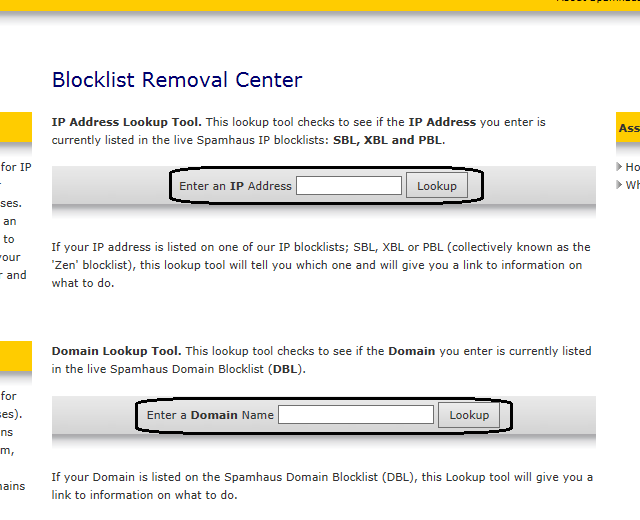 Go to Spamhaus Blocklist Removal Center. Enter either an IP address or a domain name and click on Lookup. 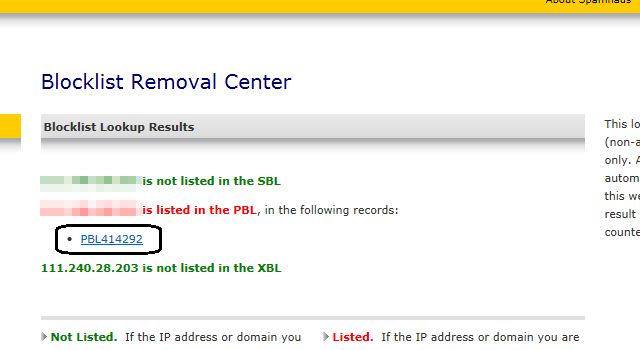 If listed as in this case below, click on PBL414292 and follow Removal Procedure to delist your IP address or domain. Please wait a few hours up to a day for the de-list update to spread across Internet. Enter your IP in the space surrounded by white circle and click on CHECK THIS IP. By checking entries below, listings with green circles in the front mean your IP is not listed while listings with red circles in the front mean your IP is listed. Click on the entry with red circle. 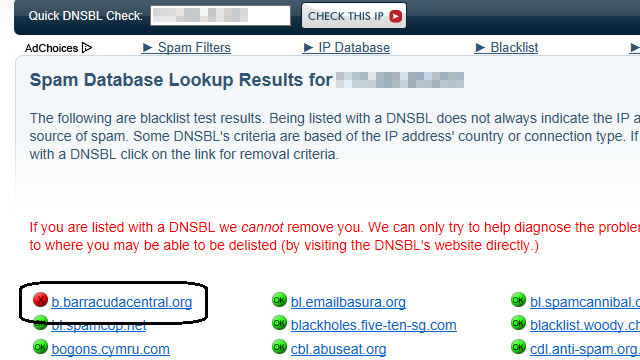 You will be redirected to a introduction to that particular DNSBL or RBL. 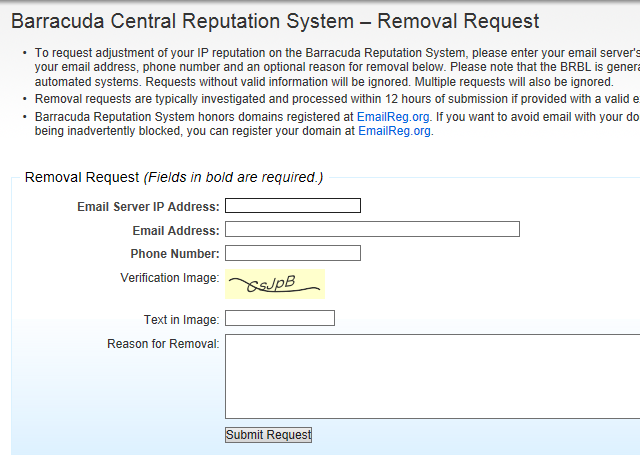 Then, click the link below to enter listing website and follow instructions to get your mail server IP delisted.